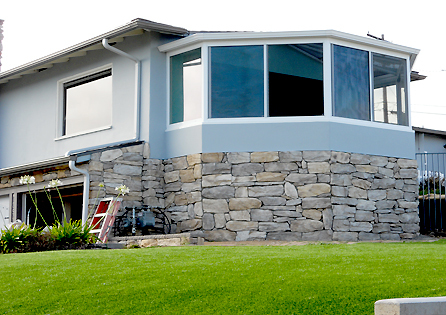 Having your own hilltop in Southern California gives you unlimited access to the beauty that surrounds this magnificent location. 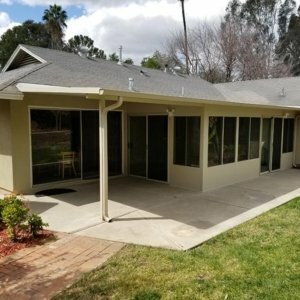 The sun, the sea, and the rest of the scenic escape that Norco has to offer are all yours to keep. 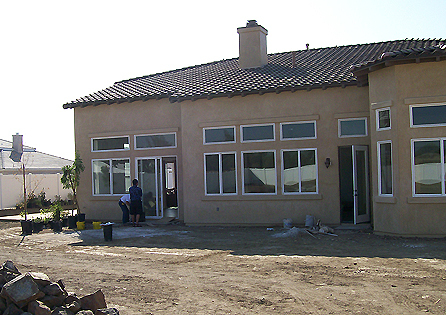 This client built his dream home on his own hilltop in Norco, a city known for its equestrian trails and rural living. 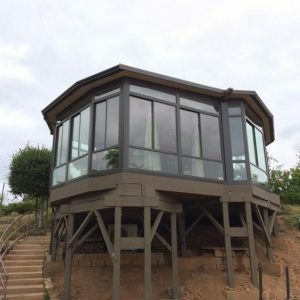 However, for our client, Richard, having his own hilltop wouldn’t be complete without an outdoor gym and spa room that would allow him to relax while enjoying the surrounding views. 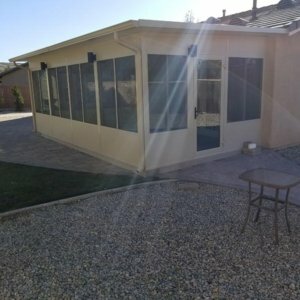 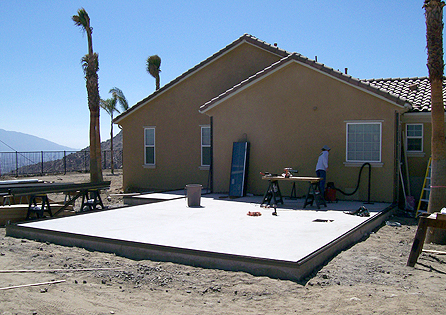 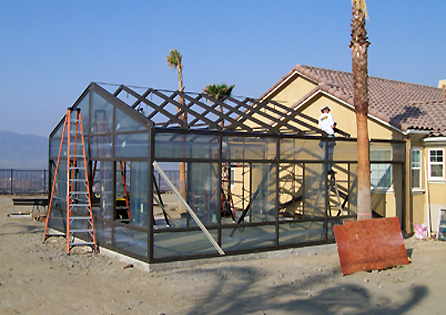 He decided to call Sun Boss and discussed about adding the 230 Cathedral Sun & Stars Four Seasons Sunroom so when his Norco home was built, Sun Boss experts began the construction of his outdoor-indoor exercise room. 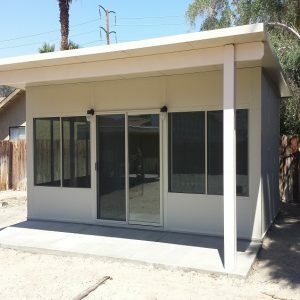 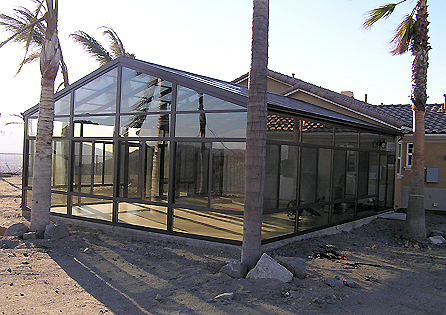 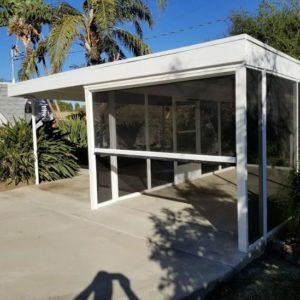 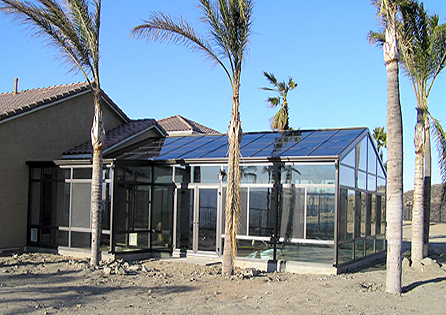 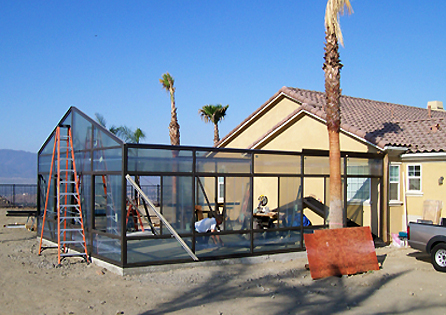 The Four Seasons sunroom proved to be a really great choice, protecting the gym and the pa from the cold wind of winter and the extreme heat of summer in Southern California. 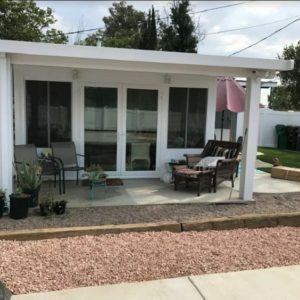 Furthermore, this client decided to expand his patio areas on the other side of the house by adding two SeaShellTM Awnings making the home complete and more protected from all other elements.